Matt Lauer is back on top. 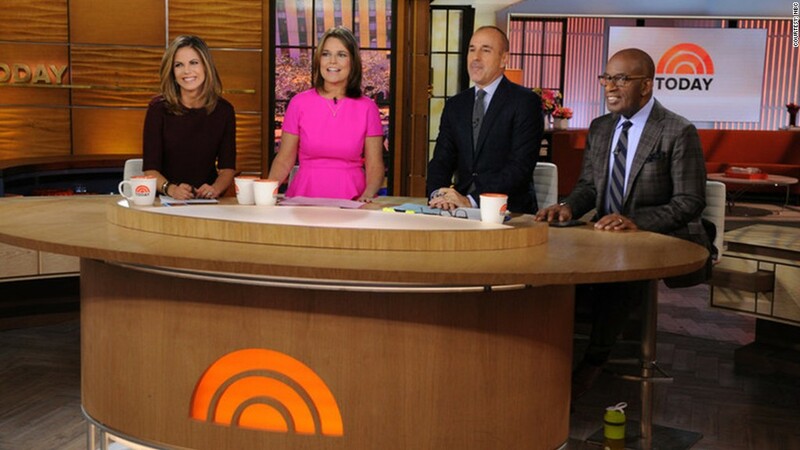 Three years after his "Today" show suffered a humiliating fall from first to second place in the morning ratings race, the show has found its way back to first, partly through the leadership of Lauer and his co-host Savannah Guthrie. It is a case study in television and a case study in perseverance. Lauer — who fittingly has a portrait of Muhammad Ali on his office wall — is the longest-serving host of any American morning show. He is also the biggest star NBC News has. And he's not going anywhere anytime soon. This year "the passion in him has been renewed," said a senior NBC News source. "Matt is much more engaged," a longtime staffer at the show affirmed. "He still thrills at the big get, the booking, the hunt." The reason for the anonymity? No one at NBC wants to be seen taking a victory lap, not after three very difficult years. "There are no champagne corks popping here" is the line you hear over and over again. "Today" was already slipping in the ratings in 2012 when the network sloppily removed Lauer's co-host Ann Curry. The Curry debacle put "Today" firmly in second place behind ABC's "Good Morning America." But as any television news executive will tell you, morning TV ratings are cyclical. And this year "Today" has recaptured the momentum. 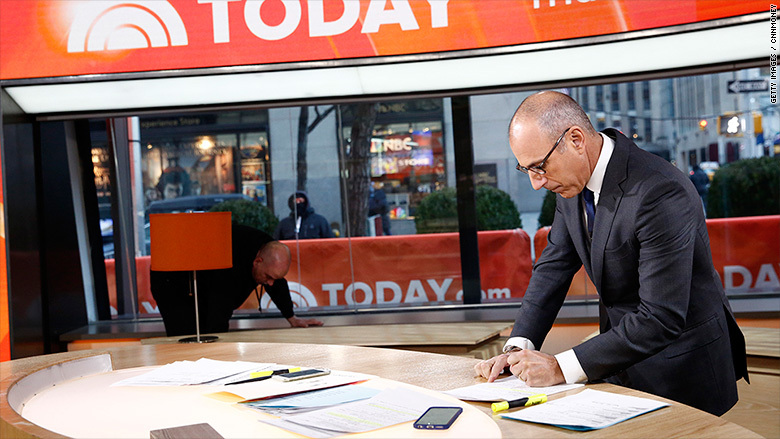 Matt Lauer and the 'Today' show are back on top. "Today" has yet to overtake "GMA" in overall audience size, but on Monday, Nielsen ratings confirmed that "Today" has beaten "GMA" for three straight months in the key advertising demographic of 25- to 54-year-olds. Thanks in large part to Lauer's exclusive interview with Charlie Sheen, "Today" won the week of November 16 by 240,000 viewers in the demo, its widest margin in more than three years. Both "Today" and "GMA" have lost viewers on a year-over-year basis — but "GMA" has lost more. The 40-year battle between the two shows has always been about who's on top. Lauer replaced his friend Bryant Gumbel as co-host back in 1997. "Today" was already #1; Lauer helped it stay there until the Curry imbroglio in 2012. I covered the morning show drama up-close that year and wrote a book about it. Lauer was badly bruised by Curry's botched departure — not just because of ugly news stories and gossip, but because viewers could sense his dissatisfaction and disengagement. With "Today" stuck in second place, its producers chased "GMA" with entertainment stories and an ensemble format that downplayed Lauer. Staff members at "Today" asked me questions like, "Do you think Matt will be here this time next year?" In the spring of 2013 I wrote, "What seems certain is that Lauer's current 'Today' contract will be his final one." Wrong. NBC stuck with Lauer and he stuck with the network. In the spring of 2014 he renewed his deal, purportedly for more than $20 million a year. Stability has helped the show. Viewers can sense it through their TV sets: Lauer is having more fun than he was a couple of years ago. His longtime friend and confidant Andy Lack, who ran NBC News in the 1990s, is back in charge of the news division. The show's senior VP Noah Oppenheim and executive producer Don Nash moved away from the ensemble approach and are playing to Lauer and Guthrie's strengths by programming a newsier show than ABC's. Another well-placed source said the internal message has been: "If you believe in what you're doing, keep doing it. Keep making it better and better. Don't be distracted by shiny objects and competition," aka "GMA." NBC staffers are quick to emphasize that the show's comeback has been a team effort and that it's still a work in progress. (Now that the show is winning in the 25- to 54-year-old demo, the next goal is to beat "GMA" among viewers of all ages.) 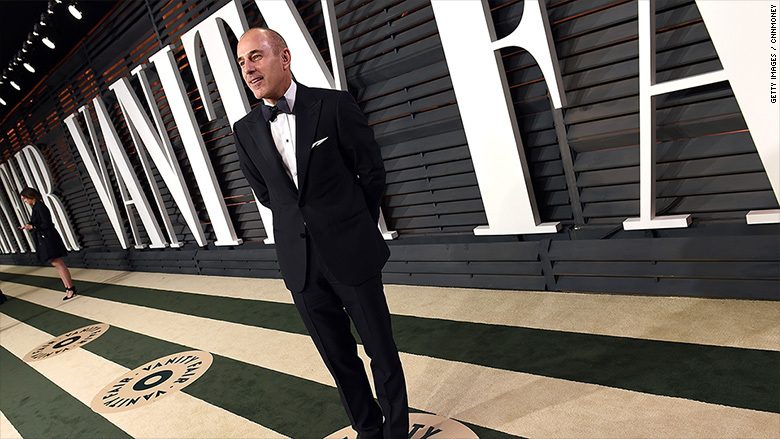 Lauer, who tends to be private and understated, is reticent to receive too much of the credit himself. He declined to be interviewed for this story. But he is clearly the captain of the team — and viewers have reconnected with him. Lauer's Q Score — a measure of a celebrity's appeal as measured among a nationally representative sample of consumers — was a 14 before the Curry debacle. His score dropped to 9 the following year, demonstrating significant damage to his television reputation. But now his Q Score is back to a 13. This rebound is "primarily due to growth with male millennials and women 50+ year olds," Q Scores Company executive Henry Schafer said. Executives at NBC chalk it up to Lauer's comfort level with Guthrie, the rest of the on-air cast, and the producers. "He's feeling good within the team structure, and that only comes with time," the senior network source said. "It just takes time. You can't fake it." Lauer's current contract is believed to extend through 2017. When asked about the challenge of convincing him to renew again or choosing a new host, the source said, "It's a high class problem to have" and "it feels like a long way away still." I hadn't spoken with Lauer since 2012 — at one point New York magazine even said I was "Lauer's nemesis," which was awkward — so when I saw him at a Labor Day party, the first thing I said was congratulations about the ratings wins. The three-month streak had just begun, and Lauer, true to form, said nothing gossipy or critical about his competitors. "We just have to keep our heads down and keep making the best show we can," he said. We both took sips from our drinks. Surely, I said, you must be thinking about "GMA's" weaknesses and how "Today" can widen the ratings gap? He smiled and said, "I'm thinking about our next show."